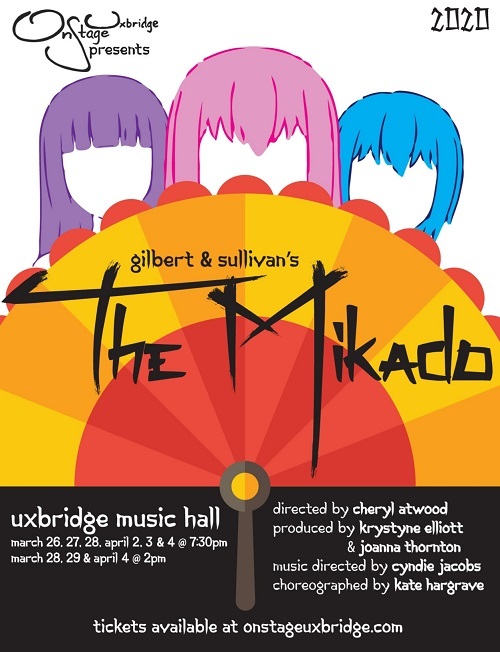 The Mikado, satirises the follies and foibles of upper class society in a way that still resonates with audiences today. Its hapless lovers are mercilessly buffeted by social restrictions, judicial inequities, government stupidities – and that's just in the first act! Poor dears – it might be truly tragic if it wasn’t so hysterically funny. All tickets are: $25.00 and include all taxes, ticket fees and Music Hall Improvement Fun. Subscriptions can be purchased for all three OSU productions by clicking on the subscription tab up until November 23, 2019. Groups of 10 or more, ticket are $20.00. To order please call 1-866-808-2006. Boookings for this event are yet to start!